Dhanush’s Maari 2, the sequel to the 2015 smash hit, Maari, released last year with the “Rowdy Baby” song in the film has turned out to become a sensational hit unlike any in recent times. The action comedy entertainer directed by Balaji Mohan has been produced under the Wunderbar Films banner and also includes Sai Pallavi, Varalaxmi Sarathkumar, Tovino Thomas, Robo Shankar, Kalloori Vinoth, Krishna Kulasekaran in starring roles with chartbuster music by Yuvan Shankar Raja. 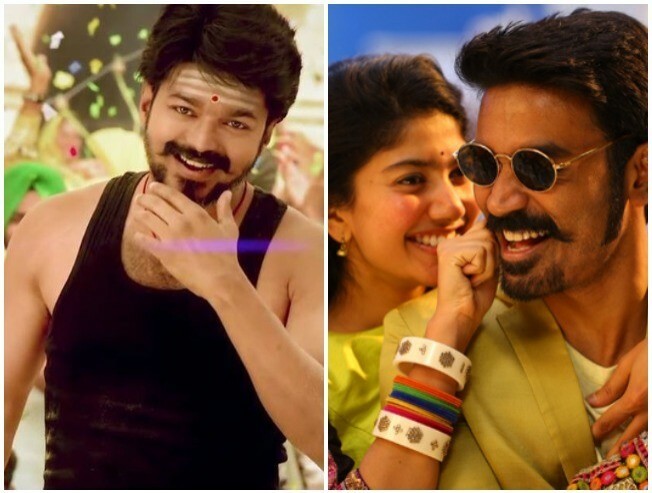 Meanwhile, the Rowdy Baby video song from Maari 2, which was officially released online on January 2, has now soared past the smash hit “Aalaporaan Thamizhan” song from ‘Thalapathy’ Vijay’s blockbuster, Mersal, which has 91,239,999 views on YouTube. With over 91,407,826 views till the present moment, Rowdy Baby has now become the most viewed Tamil video song on YouTube and that too in such a short span of time; less than 2 weeks since its online release.